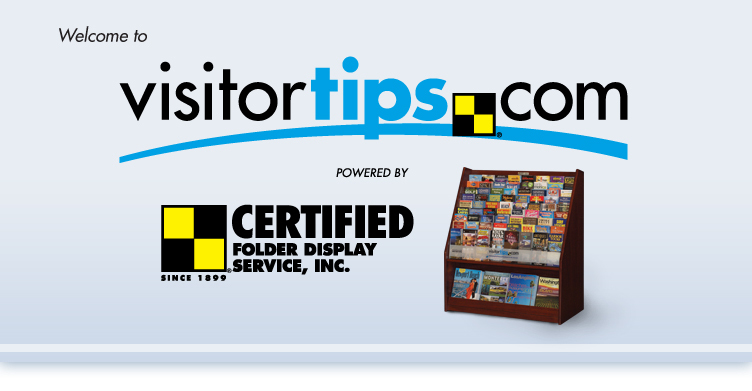 Thank you for your interest in Visitortips.com, where Certified brings you the best of both worlds - traditional brochure distribution and online display racks. 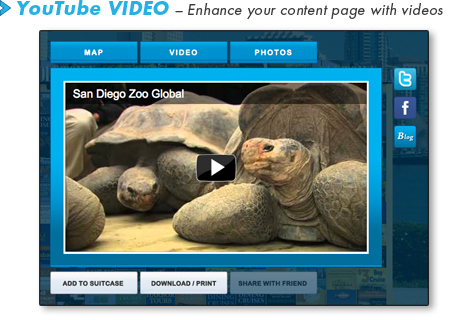 This site allows users to access brochures or publications by city or region before leaving home or while traveling. 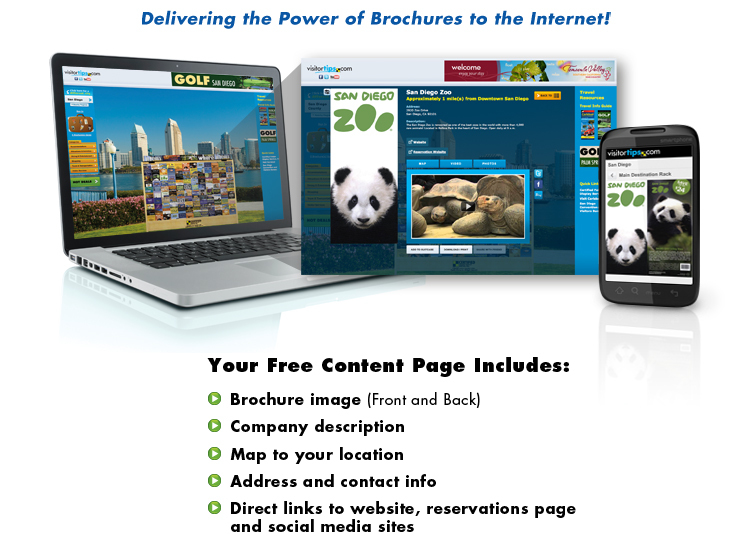 Visitors can save brochures to their 'Digital Suitcase' to view at any time using their personal computer, iPhone app, or any mobile device. 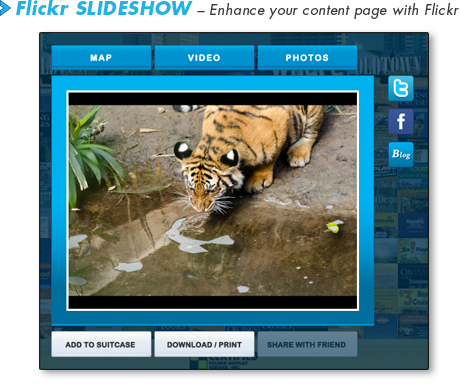 From March, 2011 thru February, 2012, over 441,000 people have each spent an average of 27 minutes exploring the site! If you are an existing Certified Visitor Marketing Program Client, you are already included in this additional service as a FREE added value. 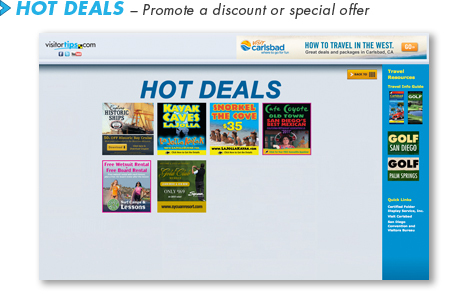 If you are not currently part of Visitortips.com and would like to learn the benefits of having your brochure or publication displayed online, contact Certified for more information. In addition to your free Visitortips listing, you have the opportunity to enhance you online presence with optional add-on's. These services can further increase your exposure and drive more traffic to your website and business. 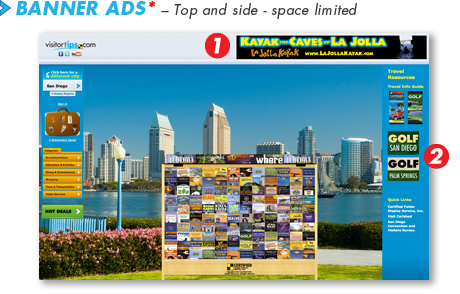 *You do not have to be a distribution client of Certified Folder to purchase a banner ad.